The Hyundai Santa Fe Sport, Volkswagen Jetta, Chevrolet Malibu, Nissan Micra, and Ford Fusion were Canada’s most rapidly declining volume vehicles in January 2017, with passenger cars claiming a surprisingly low six out of the 15 following positions. While SUVs/crossovers reported year-over-year sales growth of 11% in January, there were high riders that still managed to sell far less often in the first month of 2017 than in the same period one year earlier. 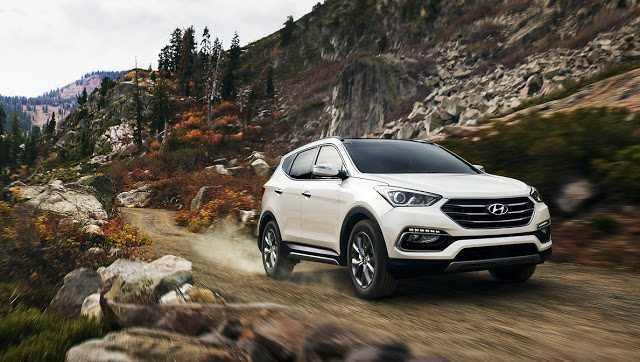 Besides the Santa Fe Sport – quickly losing sales as the Hyundai Tucson makes big gains – the Acura MDX, Subaru Crosstrek (approaching replacement), Nissan Murano, Mercedes-Benz GLE, Kia Sorento, Mitsubishi RVR, Volkswagen Tiguan (also approaching replacement), and Jeep Grand Cherokee all ranked among the worst sellers. We’ve also measured all vehicles by year-over-year decline and compiled a list of the 20 lowest-volume vehicles in Canada in 2016. Largely filled by vehicles that have every reason to be rare, there are exceptions: Kia Cadenza and Acura RLX, most obviously. You can always select a make and model at GCBC’s Sales Stats page to find historical monthly and yearly sales figures from both Canada and the United States. Pertinent links are clickable at the bottom of this post, but you can also find related links at the Best Sellers page. Mobile users can now thumb across the tables for full-width access. Vehicles which sold at least once in January 2016 but not at all in January 2017: Alfa Romeo 4C, Dodge Viper, Cadillac ELR, Acura ZDX, Honda Crosstour, Honda Insight, Mazda 2, Honda Insight, Scion iQ, Scion xB, Volkswagen Eos, Volvo S80. Aston Martin, Bentley, Ferrari, Lamborghini, Lotus, Rolls-Royce do not release monthly sales data.